1) Gently squeeze edge of speaker grill toward center of speaker gill. 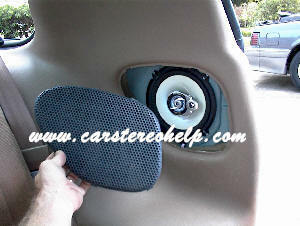 2) Lift and release speaker grill cover. 3) Remove screws securing speaker and remove.